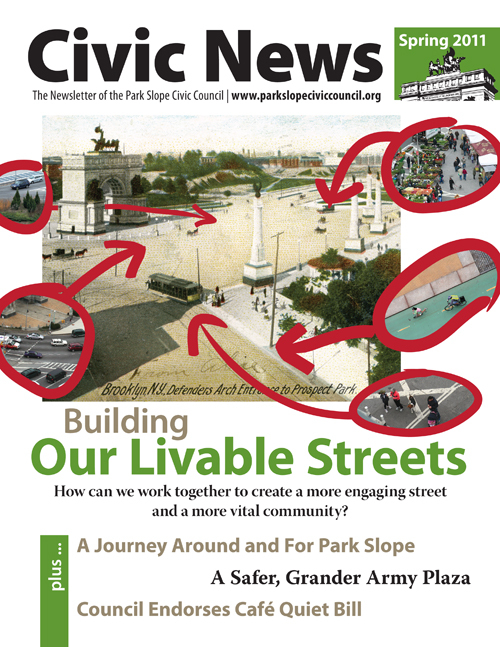 The Spring and Summer 2011 issues of Civic News from the Park Slope Civic Council showcased the greater flexibility now possible with the newsletter after my redesign in Winter 2011. 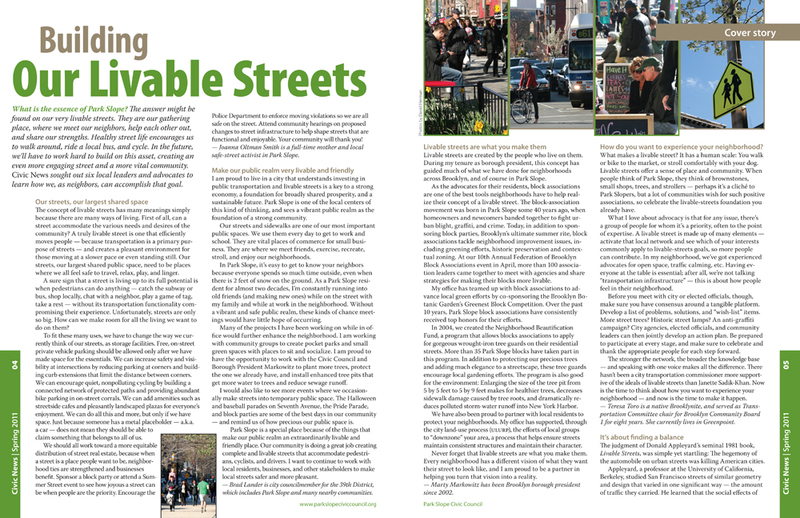 The focus of the Spring issue was on livable streets. 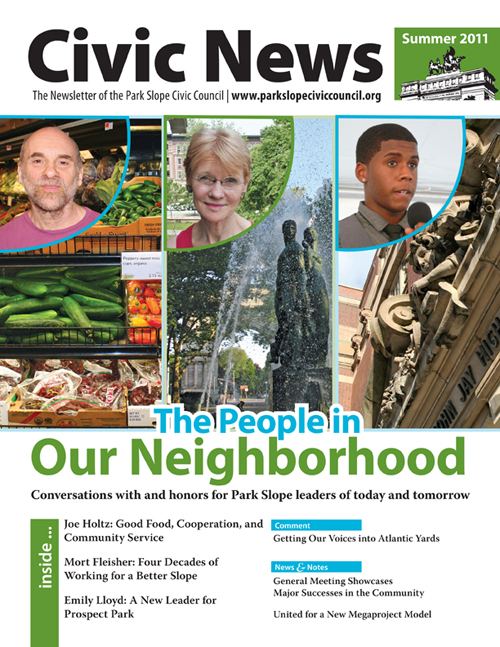 I worked with elected officials and other leaders to develop a wide-ranging piece on the topic, and wrote on new developments in the neighborhood. 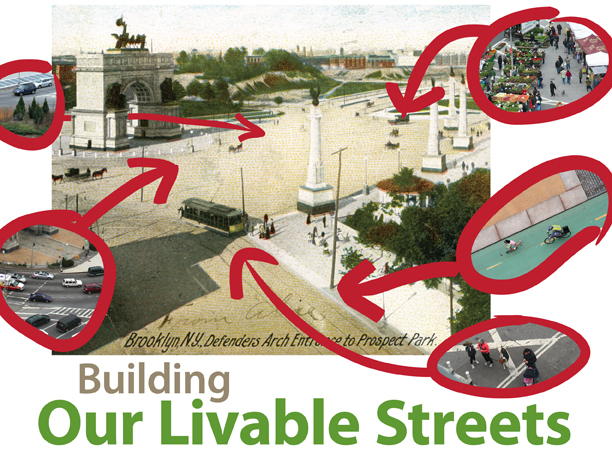 For the cover, I updated an early-20th century postcard of Grand Army Plaza with new photos of the site that I took from a nearby rooftop. My design and other images made for a great issue. 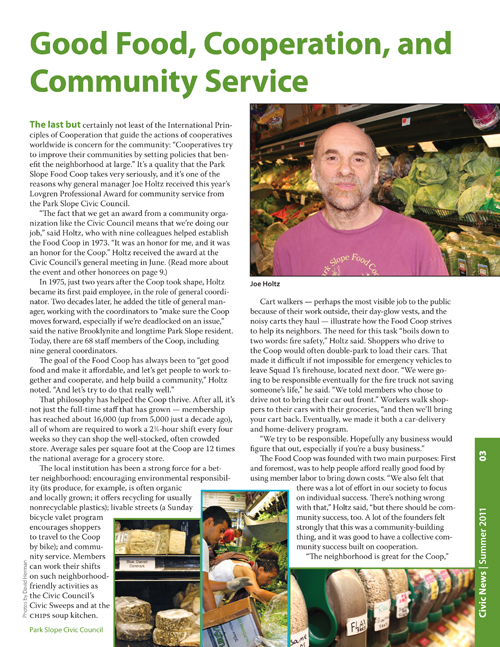 The Summer issue covered local notables, some of whom were honored by the Council the month of publication. 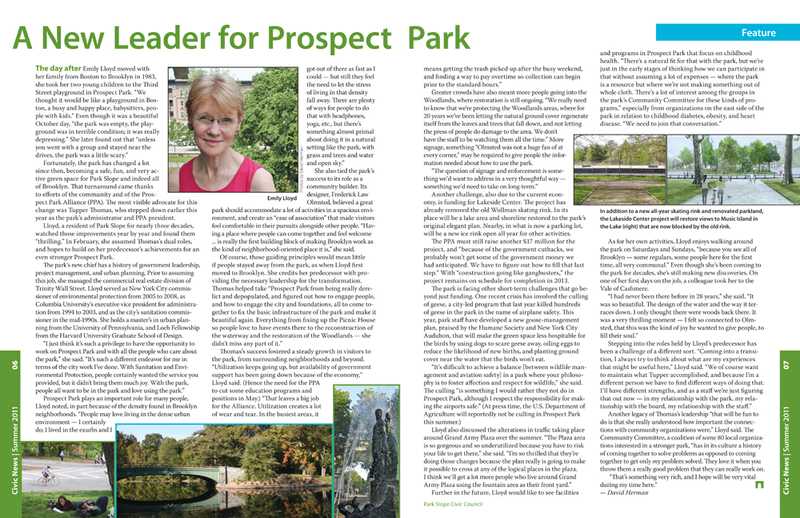 I interviewed one award winner from the Park Slope Food Coop as well as the new administrator of Prospect Park. My design and photos for the issue also helped to highlight the achievements of these honorees. See all my Civic News issues here.